​Come find Hope in a Safe place. 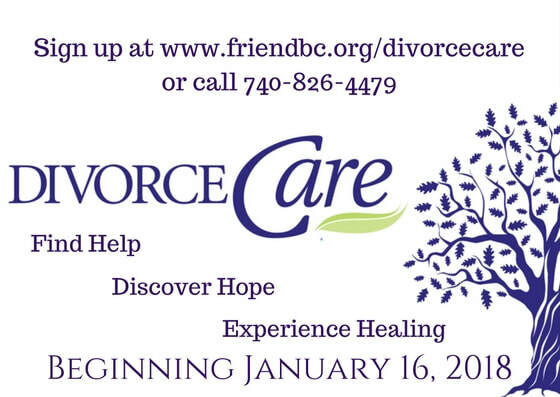 Friendship Baptist Church is hosting a DivorceCare group for women! This class is open to the community, everyone is welcome! This is a safe place to come and find healing and hope. Visit divorcecare.org to learn more about the program. If you have any questions, please let us know, we are happy to help.